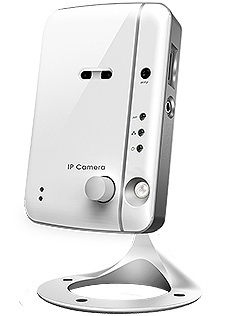 Congrats to Wayne W. of Leslie, Arkansas who just won a $25.00 Restaurant.com gift code for writing a review for CloudCam Indoor Wireless Fixed Day and Night IP Camera w/ MicroSD Slot at 3Gstore.com! Every week we randomly pick one product review from the previous week and award the writer a $25.00 gift code. We appreciate ALL the reviews our customers write, whether they are positive or negative - honest reviews like Wayne W.\'s help other customers decide if the product is right for them. After you purchase a product from 3Gstore.com, we encourage you to log in and 3Gstore.com and leave a review letting people know how the product worked for you - you'll be helping others, and you'll automatically be entered to win a restaurant.com gift code!. Like many rural residents, my only access to the internet is through a Verizon 4G LTE Mobile Hotspot MiFi5510L and a Wilson signal booster. It's better than nothing, but a far cry from DSL. Tragically, Verizon's LTE network will not allow port-forwarding, therefore most all IP cameras are absolutely useless on these networks. I found this out the hard way, after several worthless purchases of an Axis and D-link camera. DO NOT waste your time by buying these products if your internet access is mobile. As of this review, THEY WILL NOT WORK on LTE networks. However, this CloudCam IP camera actually does work as billed. It does and will work on Verizon's LTE network. Apparently, mobile broadband rationing issues are overcome by the fact that you only use data when you're logged in and viewing, which is very splendid! However, I can't help but wonder who is hosting the servers that facilitate this function, and what would happen should this 'free' service disappear? I expect that my camera would no longer function as billed. This could be a problem in the future. Now to the camera. The video image is so-so. Actually, it's only ok. I can make out the obvious, but facial recognition at any distance, say over 15 feet, is not possible. But then again, because I'm using a mobile network, what else should I expect after compressing the data the way I have to. The audio works. I haven't figured out how to operate the two-way audio function, but then I haven't really worked at it. I assume I have to hook up a speaker? I wish there was a way to turn off the blinking lights on the front of the camera. It announces its location to the burglar very well indeed. I guess that's one purpose for tape, to put over the blinking lights. BTW, it took three layers of tape, because the lights are so Christmasy. Also, I wonder why no exterior camera exists within the line? We'll see how long my inside camera holds up under the porch eave. Probably not long at all, unless I protect it very well, and considering that swallows would just love to build a mud nest right on top of it. This product is the only solution I've found to my internet dilemma. Why more products like this are not being offered which addresses the LTE issue is beyond me! 3G store shipped my camera very quickly, and tech support was on hand to answer my questions. They spoke good English too, a definite plus. However, be advised, the setup for this camera is not as flawless as billed. The 3G store quick-set insert which guides the customer through the activation process fails to note that the android app "mcamview pro" does not exist. I installed the free version of this app, but was unable to access the camera's controls through this particular app. More on this in a moment. Fortunately, I had my IPad handy, and was able to load the "mcamview iOS app," which worked flawlessly. I was able to configure my camera straightaway, which then worked perfectly. Now, back to the mcamview app. After a good bit of research, I was able to discover that the gateway "authentication" information which this app requested is as follows: USERNAME: admin PASSWORD: this remains blank. Only after this entry are you allowed to access the virtual controls for the camera. If all I had to access the camera was the Droid, the setup would have been extremely, extremely frustrating. To me, the windows software was/is useless in the setup, as far as I can tell. It works well to remote view the camera, but to setup the camera, it is lacking in my opinion. After a bit more research, I found another app which works better with my droid: mZIPView. You will find this in the Playstore on your Droid, and it's free. mZIPView looks and feels exactly like the mcamview app. However, mZIPView is less buggy and works as billed, while the latter does not. This is my first purchase with 3G store. They are wonderful, the product was shipped immediately, and I will be doing more business with them in the future. Hope this helps. Wayne.